The Power Bat uses a Microsoft AI-enabled technology that can be used on any cricket bat to generate real-time analytics. Anil Kumble’s technology startup, Spektacom Technologies, revealed the Power Bat. 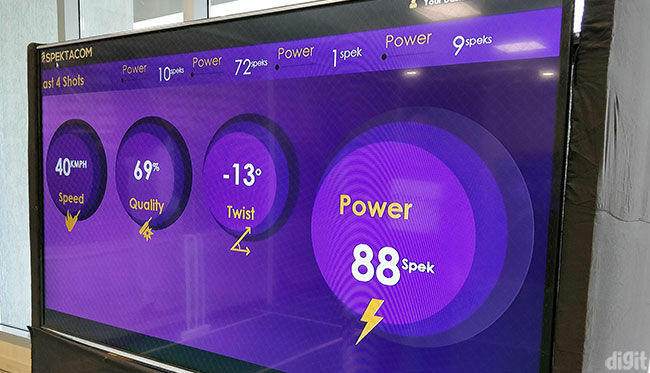 Built in collaboration with Microsoft, the Power Bat will deliver real-time data to players, coaches, commentators, fans and viewers, in order to visualise batting statistics with a new perspective. It will introduce a completely new dimension to batting statistics and analytics. As their broadcast partner, Star India has already tested the use of this technology in the recent Tamil Nadu Premier League. 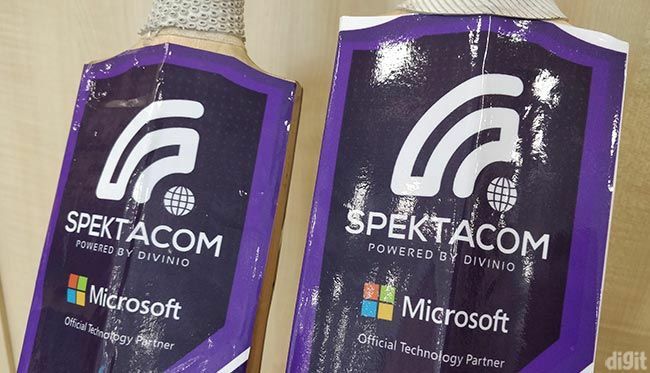 While the hardware side of things is being controlled by Spektacom, Microsoft’s role has been delivering AI and Internet of Things (IoT) services using their Azure cloud platform. The technology behind the Power Bat is a hardware device in the form of a sticker that can be attached to any cricket bat. All it needs is a flat surface. Spektacom states that the shoulder of the bat is the optimal position. It can be seamlessly attached to any cricket bat, almost being hidden, without affecting the player’s movement. Swinging a bat generates a lot of data. Spektacom is trying to record all sorts of data that can be practically measured and present useful analytics. For now, the data being collected is based on the bat hitting the ball. Taking advantage of Microsoft’s Azure Sphere, the sticker will be able to deliver real-time analytics securely. All the data is sent over to the stump box and finally displayed by the broadcaster. Using an app, fans and viewers will also be able to have a look at the real-time stats of every ball right from their phones. The bat on the left has the Spektacom sticker attached on the left side of the shoulder while the bat on the right doesn't have any. It's almost indistinguishable . Currently, only three main data points are being collected. They include speed and twist of the bat’s impact with the ball and the quality of the shot. When the ball makes contact with the bat, the speed is recorded. Do note, this is the speed of the bat swinging the moment it hits the ball. A positive or negative parameter is also recorded as the twist that shows how much the bat twists in the Y-axis perpendicular to the ground. Shot quality is the proximity of the point of contact of the ball with the bat’s sweet spot calculated in percentage. Finally, all these three parameters are weighted to calculate a final score called Power Speks. In this final score, the speed and shot quality are directly proportional to Power Speks while the twist is inversely proportional. Spektacom wants to associate this new measurement unit with batting statistics henceforth so that it becomes more of a standard unit to quantify a shot. Spektacom won't be restricted to only cricket. Because of the form factor of the sticker, it can have other use-cases in different sports. It could be stuck to the insole of a shoe and accordingly, the appropriate statistics could be measured in that specific sport. For now, cricket is where the technology is being introduced. We’ll get much more insight into batting styles and techniques that have never been objectively measured in the sport. It will be interesting to see whether analysing these parameters will actually prove beneficial for everyone involved. The company founded by former India cricket captain, Anil Kumble, has been working with Microsoft right since the beginning. 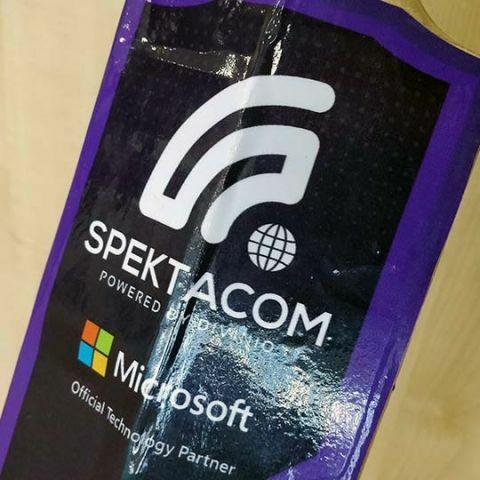 In fact, Spektacom was incubated under Microsoft’s ScaleUp program that offers access to sales, marketing and technical support to startups. Microsoft states that they “believe in leveraging its technology and its people to help sports teams and organisations solve their toughest challenges”. Their Azure Sphere platform claims to securely capture and process all the data that is being measured using the Spektacom sticker. Peggy Johnson, executive vice president, Microsoft said that with the advancements in their AI and cloud services, this is just the beginning of what's possible for not only cricket but all sports. This technology is going to be tested in upcoming cricket tournaments and series, considering it had a successful run in the Tamil Nadu Premier League. 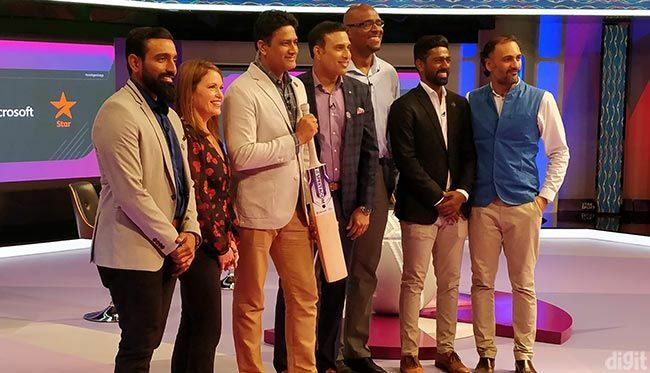 Star India is actively involved with Spektacom as a broadcast partner to generate awareness and enthusiasm around this new method of analysing batting techniques. Commentators will have more data points to discuss batting styles further enabling better storytelling during the match. All those unique shots and hooks from popular players can finally be analysed in a new way. The adoption of this technology will be useful to everyone involved in cricket. Coaches and training centers will be able to use this data to track and improve the performance of players. Anil Kumble said that the company is working to bring this technology down to the grassroots level and not just restrict it to professional tournaments. This will allow even amateur players to take advantage of the Power Bat.